The Hondata Coil Pack Retrofit (CPR) allows the use of 'coil on plug' individual ignition coils on engines with distributor based ignition systems (D, B, F and H series engines). It does this by replacing the stock coil and ignition that is within the factory distributor with an electronic circuit which can drive igniter type individual ignition coils, such as used on later model Honda engines. (must be used with a Hondata S300 system for proper operation). 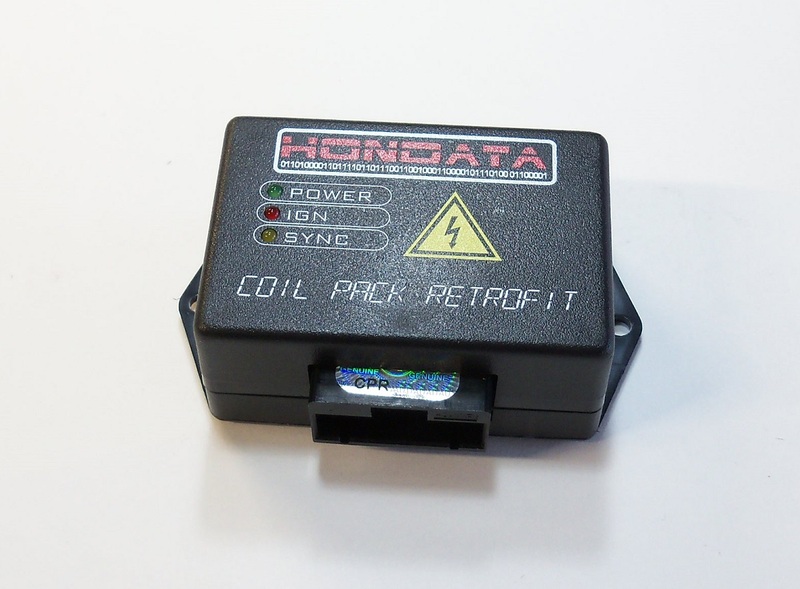 The Hondata Individual coil pack retrofit kit comes with a complete harness for wiring your coil packs, a Hondata coil pack controller, and wiring leads for making the proper connections to your ECU. Why upgrade to the Hondata CPR? * Each spark plug has its own coil resulting in increased spark energy for use with high compression, high rpm, and high boost engines. This allows you to operate your engine with a larger spark plug gap for increased power. * No spark plug wires to deteriorate or maintain. What other items will I need to run the Hondata CPR kit? Aluminum coil-on-plug adapter plate with RyWire logo. This coil on plug adapter plate will allow you to bolt S2000 or K series ignition coils onto your B series engine for use with the Hondata CPR kit.